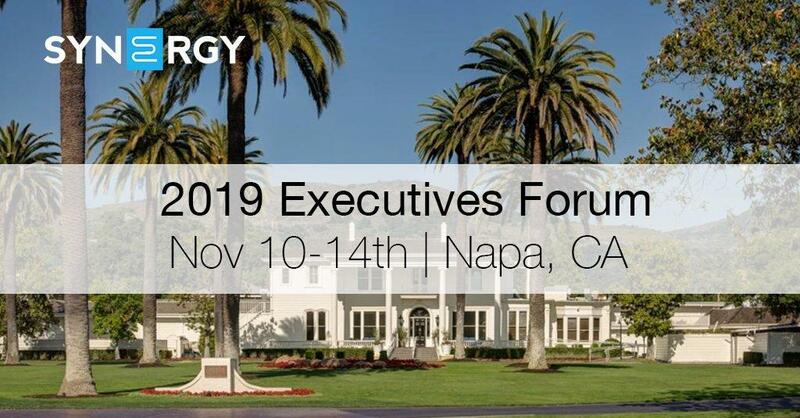 Join Synergy Solution Group in Napa on Nov 10-14th for the 2019 Executives Forum. This three and a half day session is geared toward owners and executives. Synergy has contracted a block of rooms with the Silverado Resort and Spa at the discounted rate of $274/night (one bedroom fireplace suite) and a $25 resort fee/night which includes parking, internet access, wine tasting for two, tennis, fitness facility access. Once you’ve completed the registration we will add your name to the rooming list and will make your room reservation for you. A week prior to the meeting you will receive an email containing your hotel confirmation along with other details for the session. Attendees can plan to fly into the San Francisco International Airport (SFO), which is 1 hour and 30 minutes away, the Sacramento International Airport (SMF), which is 1 hour and 20 minutes away, or the Oakland International Airport (OAK), which is 1 hour and 30 minutes away.